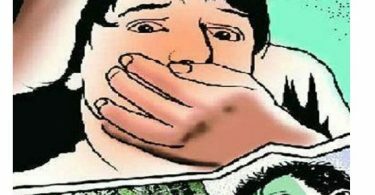 Coimbatore college girl pushed to death during disaster drill: In a college of the Coimbatore, Tamil Nadu, went horribly A fire drill at the college goes wrong which consequences’ in the death of a 19-year-old girl. She was pushed off a ledge by a trainer. The drill was being conducted in Kalaimagal College of Arts and Science on Thursday and this was reported, part of disaster preparedness training and things to do in case the fire breaks out. 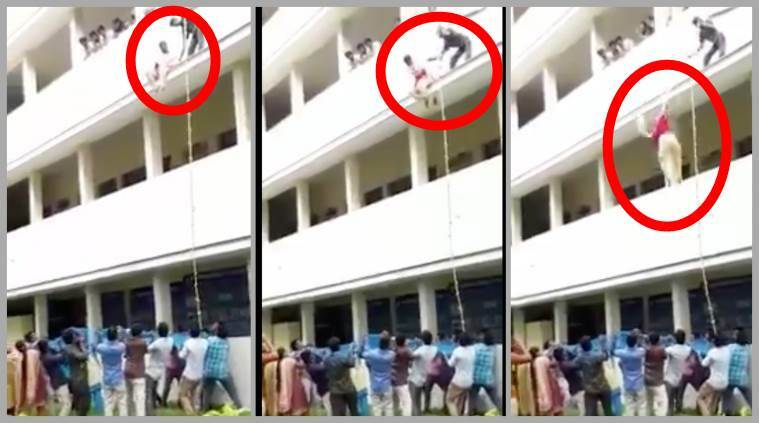 The video, that is also gone viral, shows 19-year-old Logeswari sitting on a ledge on the second floor and The video footage also shows 11 other students waiting below with a safety net to catch Logeswari at the period she was fallen down from the second floor. In the 28-second-long video, it is shown that the victim, who is clearly not ready to take the leap is seen hesitating and undecided as the trainer standing behind insists her to jump. And after several seconds, the trainer gives her a push. Unfortunately, before falling into the safety net, Logeswari’ just fall down to the first floor. On seeing her lying lifeless in the safety net, her terrified classmates rushed her to a hospital where it is announced that she brought dead. Earlier than the deadly mishap, several other students had taken turns jumping from the second floor and landed in the safety net according to the fire drill. A total number of the 20 students had participated in the training. “A group from Chennai was conducting the training. 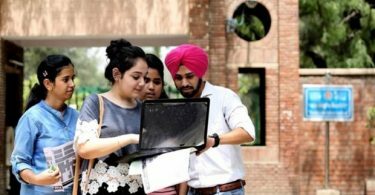 They have done the same drill in several other colleges for the past five years. Several of them did it before she and nothing happened to them. This was an accident,” The News Minute quoted an investigating official as saying. in the meantime, Tr Arumugam, the trainer, has been remanded in police custody. A case under section 304(a) for causing death by negligence is also has been registered.